Conventional veterinary treatments for stomatitis can provide short-term temporary relief but long-term the cat's immune system needs support. Steroid shots and antibiotics can help initially but are not a viable long-term solution. A drastic solution is often to remove most of the cat's teeth. Many cat owners report that even after all of their cat's teeth are removed, the cat continues to suffer from red, painful gums. This is because the underlying autoimmune condition has not been addressed. You can help your cat's stomatitis and progression of this autoimmune condition with diet changes and a few home remedies. The sooner you start, the more likely you will see results as this is a progressive condition that gets worse over time. Using natural home remedies along with conventional treatments at the first of sign of inflamed gums will yield the best results as this condition often progresses and worsens over time. Stomatitis can be a very painful condition, and as with other autoimmune diseases, early intervention using a holistic approach can make a tremendous difference. Holistic treatments (e.g. diet changes and a few home remedies) can be used along with conventional medications prescribed by your veterinarian (e.g. antibiotics and steroids). While the best time to get started is when the kitty is first diagnosed, Ask Ariel has had reported improvement for cats even after they have had a full mouth extraction (FME). Many cat owners will do the full mouth extraction and while initially the cat's symptoms such as pain, redness, drooling improve (because the source of the allergy attack--plaque on teeth is removed), the underlying autoimmune disease (and digestive issues) are still present. Stomatitis is directly linked to allergies. Stomatitis is also referred to as "tooth plaque allergy" whereby the cat develops an allergy to its own plaque. Thus, it is essential to reduce the cat's allergic reaction and change the cat's diet to eliminate food allergens. Supplements such as the Immune Support Kit, Power Probiotic and AllerEaze can not only support a cat's immune system, but quiet the allergic reaction naturally. These supplements in combination with a hypoallergenic diet can finally give the kitty much needed relief. Why is the source of the "allergy attack" in the mouth? The mouth represents the beginning of the digestive tract so when cats eat foods they don't digest well either due to food allergies and/or poor quality food, it causes a great deal of inflammation, triggering a flareup in the mouth. Reducing inflammation by feeding your cat a hypoallergenic, grain-free, low carbohydrate diet and using supplements to improve digestion can only help. 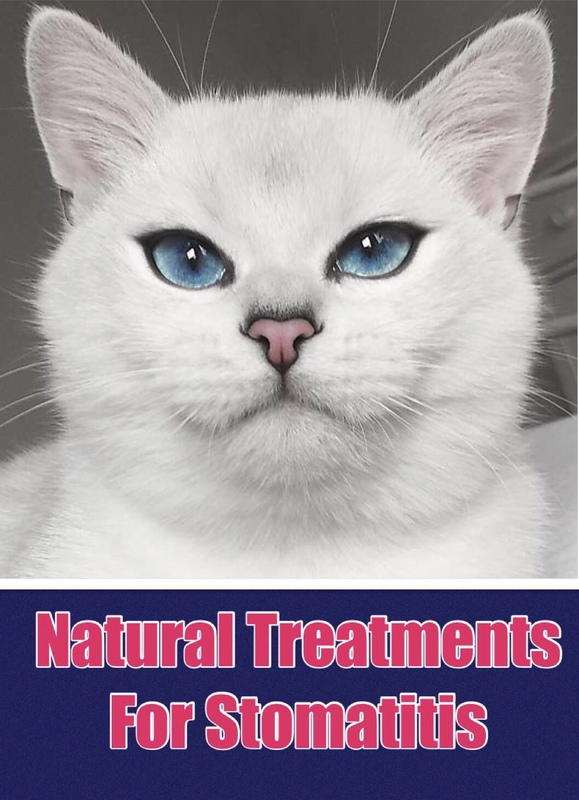 Many cats use our holistic treatment program for stomatitis and have improved digestion, better periodontal health, improved breath, reduced pain and discomfort. You can help your cat by controlling the progression of autoimmune disease using supplements that promote dental hygiene, reducing redness, infection and inflammation. The goal of the supplements is to reduce symptoms such as redness in the mouth, pain and discomfort, infection and inflammation. This can be accomplished with remedies that support intestinal health and immunity that modulate (not overstimulate) the immune system. It is very important to be careful with the supplements you use for stomatitis. There is a misconception that if a cat has an autoimmune disorder, that you need to use supplements to stimulate the immune system. In fact, the opposite is true. When cats have an autoimmune disease, the cat's immune system is overstimulated to such an extent that the cat's body forms antibodies to its own tissues and attacks itself. Thus using supplements that might be helpful for cats with a weakened immune system might actually make the condition worse. 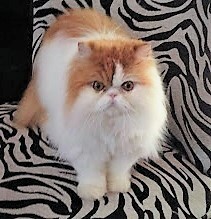 Ask Ariel has treated cats with stomatitis, IBD, Pillow Paw, rodent ulcers and other autoimmune conditions with much success as our supplements help your kitty by reducing inflammation and controlling bacteria and viruses naturally. 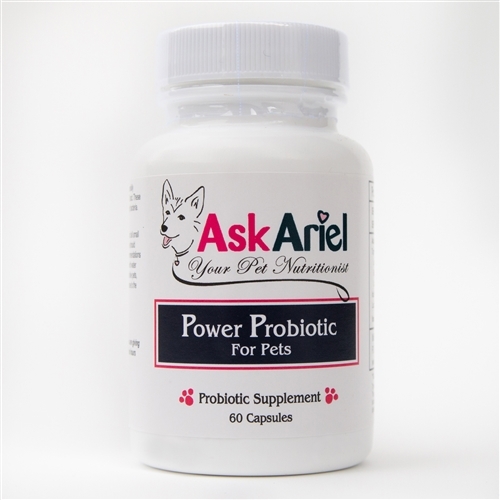 Power Probiotic - The best probiotic for pets! Backed by scientific research, this powerful multi-strain formula promotes the growth of healthy bacteria in the mouth and digestive tract - critical for your kitty's immune system. If your cat has been on antibiotics or steroids, the friendly bacteria are killed, further weakening your cat's ability to handle the stomatitis. That is why at first when steroids and antibiotics are given, your cat's mouth is better but eventually the infection returns. Power Probiotic is safe, natural and contains NO FILLERS! Immune Harmony - Contains a unique patented sterol supplement that provides long-term immune support. Very helpful for pets with viruses, autoimmune disease and cancer. Very well tolerated by cats. Use with other supplements that help to readily relieve autoimmune symptoms, while this remedy helps to support the long-term health of your pet's immune system. AllerEaze - Many holistic veterinarians refer to the ingredients (quercetin & nettles) as nature’s own Benadryl. Since stomatitis is an allergy to the plaque on the teeth, AllerEaze helps to calm the inflammatory response. Colostrum for Pets - backed by research and third-party tested, Tegricel Colostrum has been shown to enhance the digestive system and immunity. Many cats like the taste. Certain food allergens can worsen inflammation. Many cat owners might not realize that many foods (even the highest quality, grain-free, premium diets) are contributing to the stomatitis condition. Dry food, for example, is made with starchy carbohydrates which convert to sugar. Cats are carnivores and the carbohydrates just weaken their immune system, triggering an auto-immune reaction. It can be upsetting to realize that most cat foods contain ingredients that are worsening your cat's condition but there is hope as once the offending foods are eliminated, the inflammation can greatly subside. Cats with stomatitis need a species-appropriate, low carbohydrate, hypoallergenic, carnivorous diet. 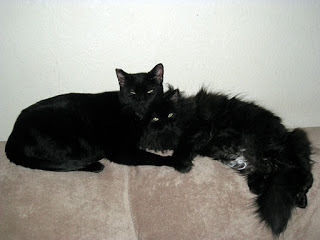 There isn't a "one diet is best" because each kitty has its own history of health issues. Diet changes are critical for treating stomatitis so please be sure to include your cat’s diet on the order form at checkout. Our nutritionist will include a diet suggestion for your cat on the packing slip that comes with your product directions. 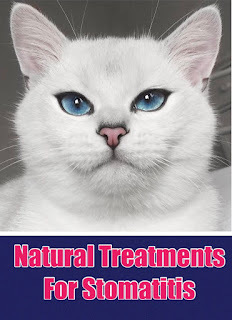 Why Use Ask Ariel Supplements To Help Your Pet With Stomatitis? Many pet owners have seen the benefits of using supplements on their own health and now want the same for their pets. Our premium, natural pet supplements have been used successfully in veterinary hospitals since 2005. Ask Ariel's remedies are selected based on quality, scientific research and proven results. Stomatitis can recur and giving your pet supplements specifically for this condition will support your pet's immunity and help reduce the likelihood of recurrence. A holistic approach with supplements and diet changes (FREE diet tips on the packing slip with your order) will give your pet the best chance of healing and recovery. Many veterinarians have seen the proven results of our products with their patients which is why Ask Ariel pet supplements are veterinary recommended nationwide. If you have questions about which products to use, please feel free to email us at Support@AskAriel.com.